As "s u r r e a l" as it gets, this recipe is yet another all time favorite appetiser. 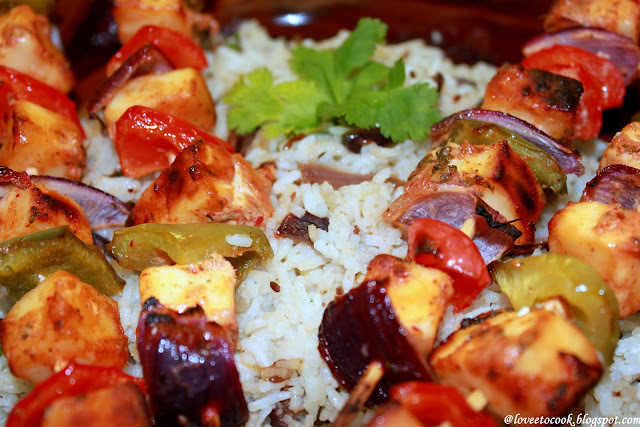 Done the tandoori style, these skewers are mysteriously earthy smoky tangy and charred !! The aromas from this dish envelopes and sends you on a reminiscent trip back to India where in the heart of winters we all savoured some amazing hot and fresh delicacies out of a "r e a l" tandoor or clay oven. So lets begin with the right arsenal from our pantries..
Start by mixing all the ingredients for the marinade in a bowl and add the cubed paneer pieces. Mix, cover and let it sit for a minimum of 4-5 hours. preferably overnight. 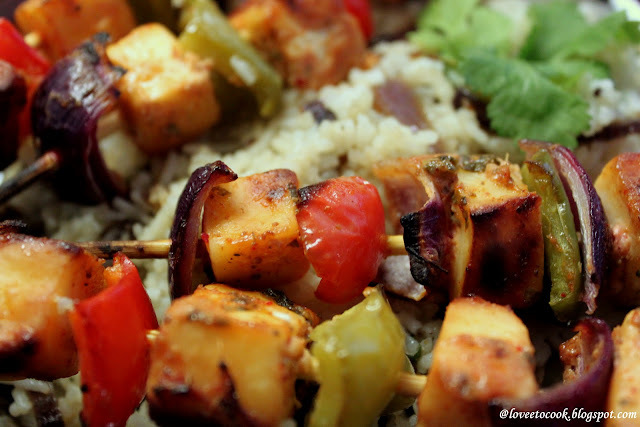 The next day take out and bring the marinated paneer to room temperature.In the meantime, dip the wooden skewers in normal water for half an hour. Chop the rest of the ingredients to skew and lightly massage oil and salt all over them, keep the latter ready on your board handy..
Preheat your oven to 350f. 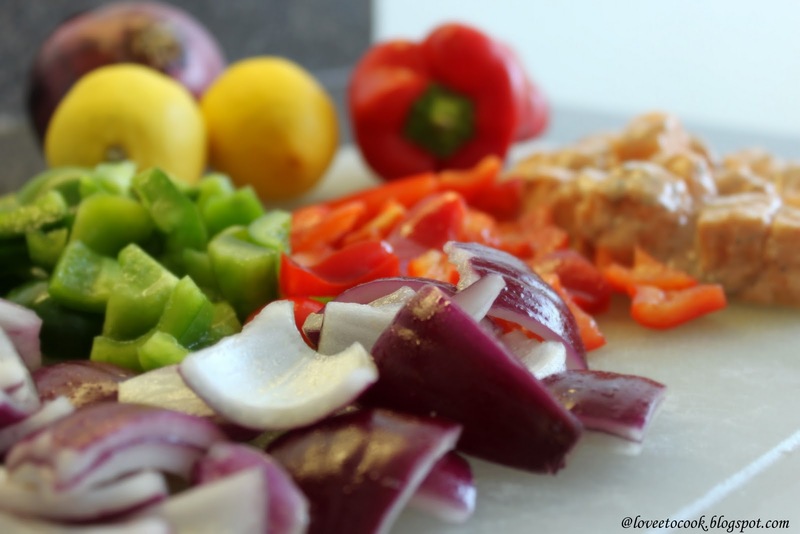 Now lets skew, the way u'd like to - I generally skew the red onion first and last as its firm and grips the skewers better. Pick a skewer and keep skewing till all done. 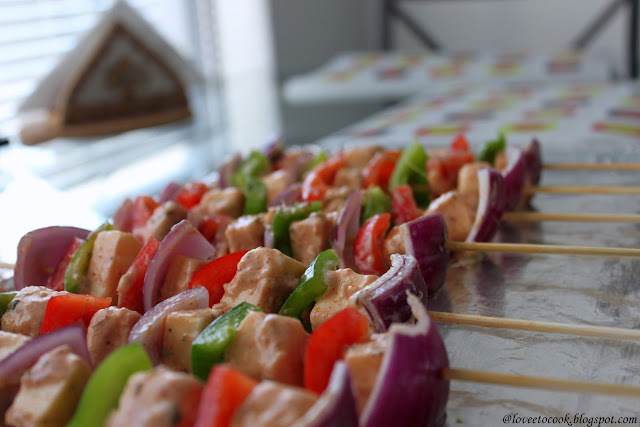 Place the skewers in the oven for 12 to 14 minutes. Once done , set to broil each side of every skewer till brown and roasted. Remove from oven , douse with lemon juice and chaat masala. Serve hot. For a complete dinner menu, lay along with a side of Masala jeera rice .